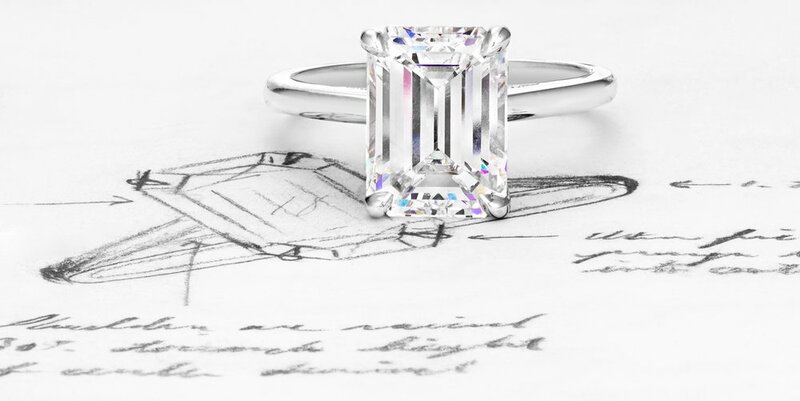 An exceptional emerald-cut diamond of maximum fire, life, and brilliance celebrates her sophisticated style, while prongs hand-sculpted to evoke lotus petals honor her spirituality. Tiny paw prints and secret gemstones tell the story of their family and when he knew she was the one for him. 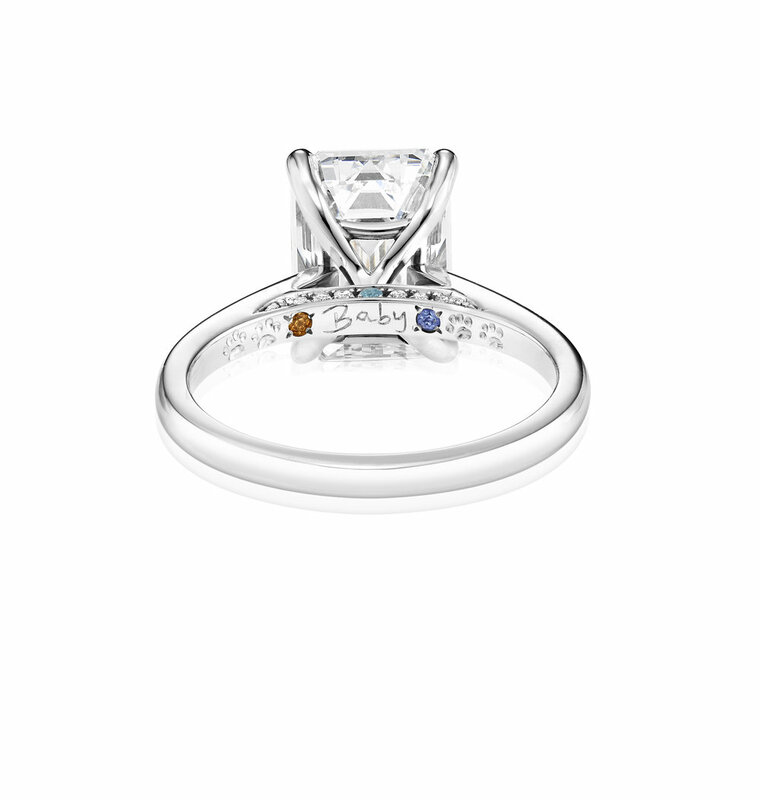 The Lotus ring features an emerald cut diamond set in platinum.